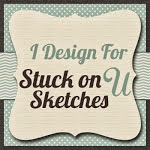 It's time for another sketch challenge at SOUS! This week Nanne has provided us with a great sketch to work with! I love all the layering on this one. 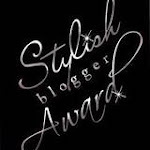 Make sure you pop on over to the blog to see what the designers have come up with! Always some great inspiration to be had. 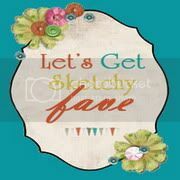 If you decide to give the sketch a try yourself, you could be chosen as one of the Top 3 and have your layout featured on the blog. This is my interpretation of the sketch! This is Laya and Renee on the night of Laya's stagette. The girls got all dressed up for a night on the town. Renee was too young to go out clubbing with them, but she did get to go for the dinner which was alot of fun for her. The tags for this layout were kind of an accident. I had blended some different colors of ink onto a manilla tag but the effect was too dark. I wanted something more muted, so I thought I'd start again on the tag and use different colors. I didn't want to waste the tag, so I just painted some gesso on overtop, but once I saw the effect it made, I really liked it, so I kept the tags like that. I also used a new stencil I had gotten for the chicken wire and just inked over it. Fun and easy! Very cute! Don't you love when playing with media turns out better than you thought! the bones of the sketch were just really awesome! those young ones away as long as you can! LOL! So so fun though! Great page, Charlote! I've been eyeing it for a while now on the projects blog. I just got the chicken wire stencil too .. the reverse one .. and can't wait to play! Adore these colors! Super cute layout! I am a new follower. I found you over at sb.com. 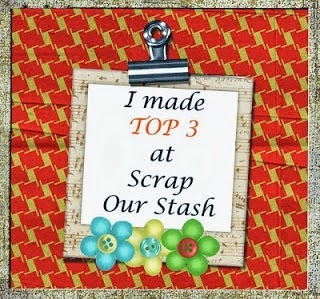 You can find me at www.kristinscraftcorner.blogspot.com. Have a great day! Life is better with gesso! It covers a multitude of creative sins, turning them into praise items! Lol. Great layout and I live that mask! 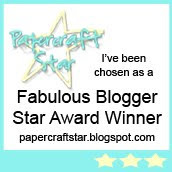 Just love this..it is gorgeous!It`s been a pleasure designing with you and i will continue to follow your beautiful work!Love your blog look!